This version of the firmware corrects some problems with auto-reconnecting with previously connected sources. The speaker will attempt to reconnect every 30 seconds for 20 minutes. It also includes all updates from previous firmware releases. This firmware includes support for newer Exos-9 units that ship from January 2019 onwards. Without this firmware update, older and new Exos-9s will not be able to connect via TWS. Solves bugs with TWS disconnection and EQ settings not being synchronized during TWS playback. 1) You will need to do this using a Windows PC. Unfortunately at this time, we don't have OSX- or Linux-compatible drivers. 2) Download the new firmware. Extract the files to the desktop or somewhere you'll be able to find them easily. 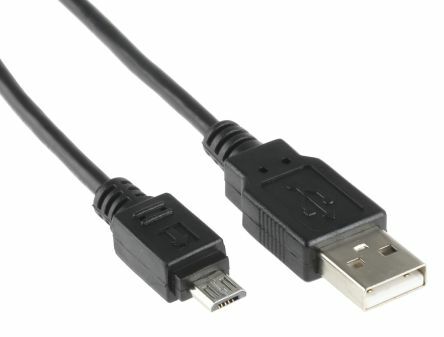 3) Connect the speaker to your computer using a micro-USB to USB-A cord. 4) Power the speaker on. 5) Find Updater.exe in the folder you extracted from the .ZIP file. Double click Updater.exe. (Windows may give you a warning about the file being from an unknown publisher. This is OK, press "more info" and then "run anyway".) A black window will come up, and eventually it should finish running and eventually show 100%. 6) Turn the speaker off using the switch on the back, and disconnect the USB cable. 7) Turn the speaker back on. Congratulations, you've upgraded your firmware! functions as well as some DSP that subtly affects sound quality. You can update the firmware through the micro-USB port on the back of the Exos-9. The Exos-9 ships with firmware that includes a DSP dynamic compressor. This feature works by leveling off more extreme peaks in the audio, and is implemented as a conservative safety measure for the drivers and power circuit of the speaker. However, sometimes this feature causes a subtle, but noticeable effect on the audio, and some users prefer the audio without it. 1) You will need to do this using a Windows PC. Unfortunately at this time, we don't have OSX-compatible drivers. 2) Download the new firmware. This .ZIP file contains the new firmware that removes the compressor effect. Extract the files to the desktop or somewhere you'll be able to find them easily. 4) Turn the speaker on. 5) Find the .BAT files that you extracted from the .ZIP file. Double click the "H40001_20170831_EQ_ONLY.bat" file first. (Windows may give you a warning about the file being from an unknown publisher. This is OK, press "more info" and then "run anyway".) A black window will come up, and eventually it should finish running and eventually show 100%. 6) Once the first .BAT file has finished, double-click "H40001_20170831_New_Compander.bat" and allow it to run. It should also finish running and show 100%. 7) Turn the speaker off using the switch on the back, and disconnect the USB cable. 8) Turn the speaker back on. Congratulations, you've upgraded your firmware! Please contact us at info@aiwa.co if you run into any problems with this process. Warning! Don't turn the speaker off while the .BAT files are running - this has the potential to break your speaker!